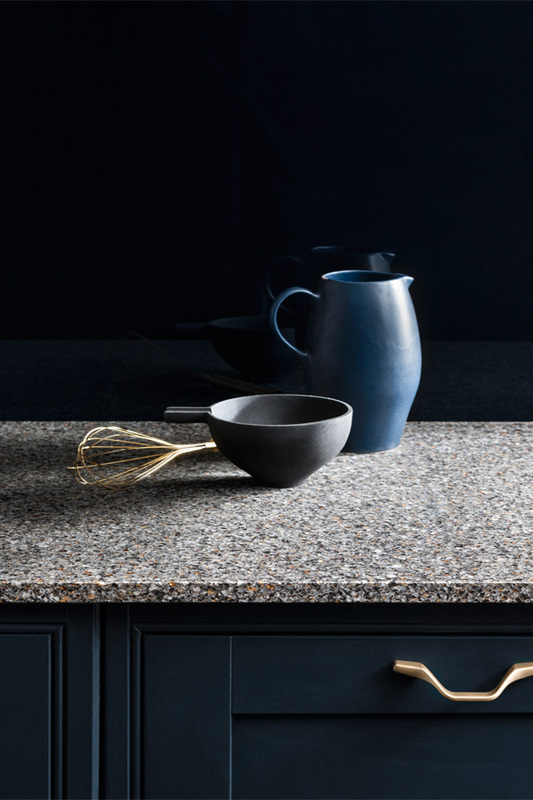 Originating from South Korea, the Radianz quartz surface offers the appearance of marble and stone for kitchen and bathroom work surfaces. The high density, non-porous composite material has scratch and heat resistant qualities. Designers can choose from more than 30 colours in the Radianz range, spanning marble-effects through to dark surfaces.